If you are looking for a job with certain criteria, I can help you with the same by sharing the paths I have explored to become what I am right now. Securing a dream job is the most crucial part of every one’s life. It is the challenging phase of our career. To succeed in that will be our greatest achievement. Employment is secure in a place like Kerala where a variety of jobs sprouts each day. But the issue lies with finding the perfect one. Today, in this hectic world with gender equality men and women go for the same jobs and no jobs are reserved for anyone. One with the most preeminent qualities can dominate everywhere. Like every fresh graduate, I was struggling to find career opportunities in kerala. The choice of my specialization for the graduation was a mere pick out from the trending alternatives. After successful completion of my degree, I was considering the fact of right job that suits my specialization. The result was unsatisfactory. I thought, I could have done another specialization. But it was an irreversible decision. After a long scrutiny I came to recognise my issues. And I also perceived a fact that the problem exist with every freshers. 1. Disorientation – Most of us have the tendency to go for things which are current trends and doesn’t have idea about the fruitful results. These trends always affects the decision making capacity of the youth. Disoriented graduates have higher possibility of dropping out of academies, and after graduation, they can’t find the suitable jobs because partly they don’t put much effort into finding a job, and not have enough interest and willingness to work stably. 2. Lack of soft skills – Communication skills, public-speaking skills, teamwork, problem solving skills, time management skills, etc. are considered to be the soft skills one should acquire theirselves. Effective soft skills can bring huge success in an organization and the lack of it brings a lot of trouble. So every employer will be looking for their prospective employee with these skills. 3. Unrealistic Expectation – To decrease the companies’ risk of hiring unsuitable staffs and wasting time on training them, every companies opt for unpaid or partially paid internships. But the graduates think their bachelor/master degree, certificate is highly valued and doesn’t know that they are not skilled enough. So they search for highly paid jobs. Resume – I started with a resume preparation. For this I have referred the most acceptable formats. The prime focus I made to create a good profile was to identify my strength and weakness. I used my resume as a way to address my every skills which can appeal the employers. 1. Job Experience – Employment history in the latest chronological order with job description and year of experience should be provided. 2. Educational Experience – Academic qualification along with the institute from where the qualification is drawn should also be given. 3. Volunteer Work – Extra voluntary work report scan show your ability to work in team and it also exhibits your nature and subject of interest. 4. Personal Qualities – Information about your area of interests, recreational activities, or hobbies can help to give a complete sense of your personality and character. Search for vacancies – As a searching tool the initial option of mine was internet, the global web. I have created my profile with the famous job sites in Kerala and best job apps to find jobs near me and waited for a long time. They offered free job alert. Sometimes there was no response or my skill sets were not matched with their needs. Then I went for job placement agencies with many references. But they charged heavy fees for their services. And even asked for commission on getting first salary. The very next idea was to opt online jobs work from home. But many reviews had stated fraudulent possibilities on online jobs. That hesitated me to select that option. Guidelines – After consecutive failures on job search I searched for guidelines for proper application. 2. Should prepare for the interview in advance. Self actualisation is the first step. We should be aware about anything and everything they ask. And even for unknown answers, we should practise to be confident to reply in a prefered manner. 5. Prime focus should be on job search sources. Secure search should be made to be not fooled by anyone. 6. Be professional in all ways. Some soft skills are essential for being professional. Our attire, attitude all are important. Restart – Restarted with most referred job app, INICIO, the provider of best jobs in Kerala. The job profiles available in INICIO ranges from Management jobs, accounting jobs, IT jobs, writing jobs, BPO jobs and many more. Job Application – Through INICIO, I began to apply for the job vacancies available. They provided me with many vacancies and the jobs offered were really according to my career needs. Placed – It is through INICIO, I got placed in a reputed firm within a few days of waiting. How INICIO works for the recruitment process? To get started the candidate have to register with INICIO and have to pay a nominal amount as the annual subscription fee for INICIO Job App. INICIO App is available in the play store and app store. Easily share the test score with employers through your profile. The test score will be made available to the employers. Employers are ready to choose candidates with good scores and skills. The test is considered to be the first stage of scrutiny. 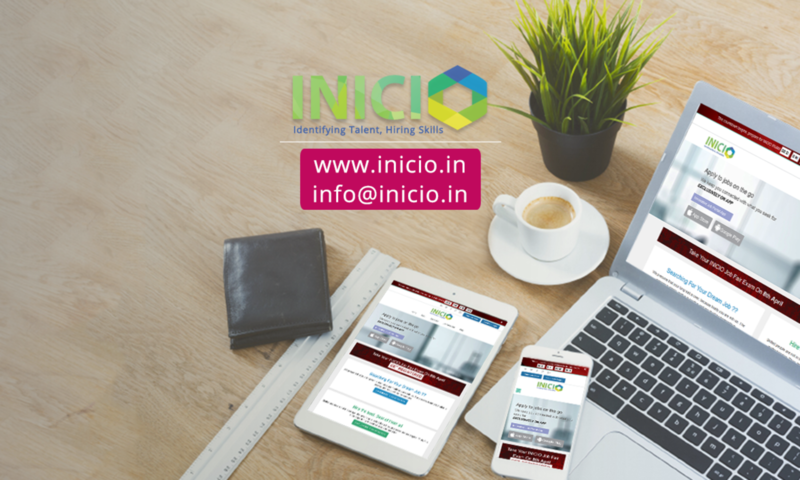 INICIO Job App is a career portal to provide with the current job vacancies in Kerala as well as an online aptitude testing platform, to make the process of hiring precise and easy. INICIO, the place to get job opportunities in Kerala for graduates functions in a way that only the deserving candidate will be recruited from the final stage and the most appropriate among them will be appointed. They make it easy for employers to filter the ideal applicant. Wishing you a very success in securing the perfect job of your dream job with an acceptable salary and other facilities. As a loyal client, I would like to recommend INICIO to know the job offers in Kerala. You may also search with other reliable Kerala jobs classifieds.